March hasn't been as productive for the shop as I had hoped it would be. Other things have required my time. But I did get two new items listed this week! 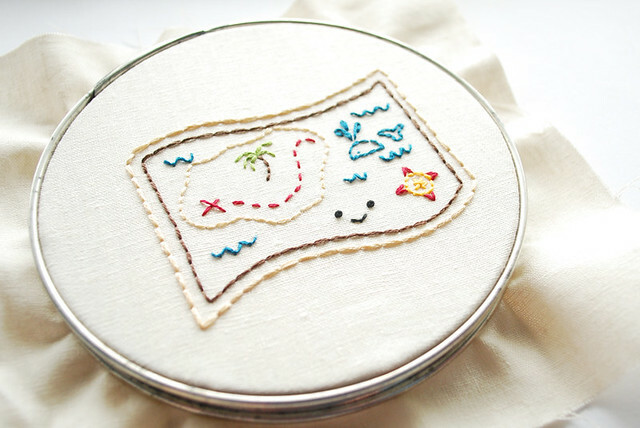 The Merry Mateys embroidery pattern is something that I think I should have made long ago. I love pirates, so why haven't I made a pattern for them sooner? Oh well, they are here now! 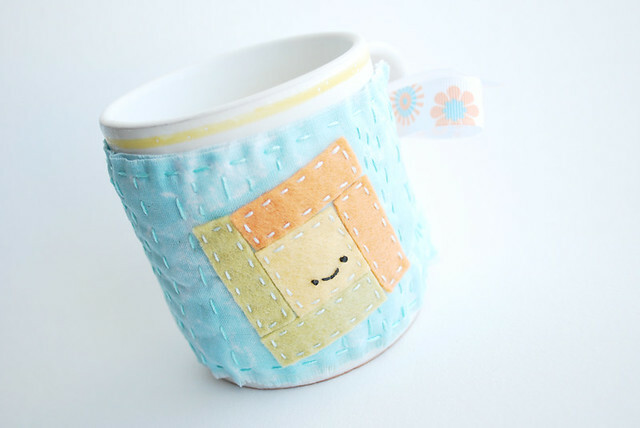 I've also wanted to make a pattern involving quilt blocks, and so I incorporated them into this project PDF for a mug wrap. The PDF includes 7 little patterns, plus the instructions and templates for the wrap. A few printables are nearly finished, but sometimes it's just a slower process...ya know? This is too cute, I really love the whale! These are both wonderful! LOVE them!! I need to make that coffee mug cozie. That's cute. I love the pirate map! So adorable! I adore anything pirate related, so I really love that first one! ♥ The second is just plain CUTE!!! Merry Mateys! The name is almost as cute as the pattern! I love the mug wrap! btw the way, I got my embroidered gift in the mail from my swapee, so exciting! Both your new patterns are so adorable. Can't wait to try the mug wrap!